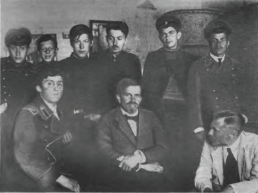 A group of architects (Nikolai Ladovsky, Vladimir Krinsky, Alexander Rukhlyadev and others) split from Ivan Zholtovsky's architectural department of Mossovet in early 1919, and in May–November 1919, joined by artists like Alexander Rodchenko, gained state approval and incorporated as Zhivskulptarkh (Живскульптарх, Paintsculptarch; Commission for Painting, Sculpture and Architecture). 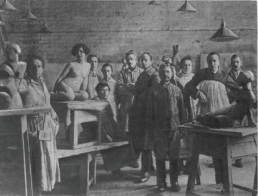 A collective devoted to synthesizing art, sculpture, and architecture. Active until 1920. This page was last modified on 27 December 2012, at 01:17.